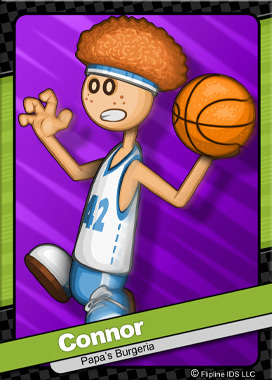 Connor is the freckle-faced captain of the Burgerburgh High Dumplings. When he’s not doing homework, he’s out on the court shooting hoops. Connor is a fan favorite, and his Double-Jump Dunk always gets the crowd cheering. He hopes to one day make it to the big leagues and play for the Broilers.